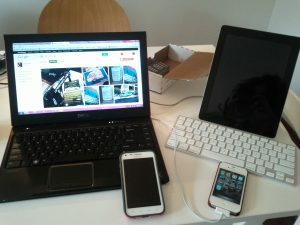 Being in social media and blogging full time means I go to a lot of conferences. When I first started attending day long events I wasn’t sure what to bring. I really didn’t know what to expect. 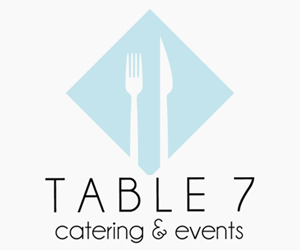 While every conference is a bit different, after a few you tend to have a mental list of things to have with you, no matter what type of conference it is. I’ll go through my all time must-haves, hopefully they’ll help you decide what to pack and of course I’d love to hear what you travel with so I can expand my opinions. First off one of the most important items to start with first is the bag, well the bag and if you’re going with a tablet or a laptop (because that would make a the difference with what bag you choose). For a laptop I like the messenger bag, all the right pockets to carry personal items, gadgets, my full sized professional camera, up to 17 inch laptop and all the cords. 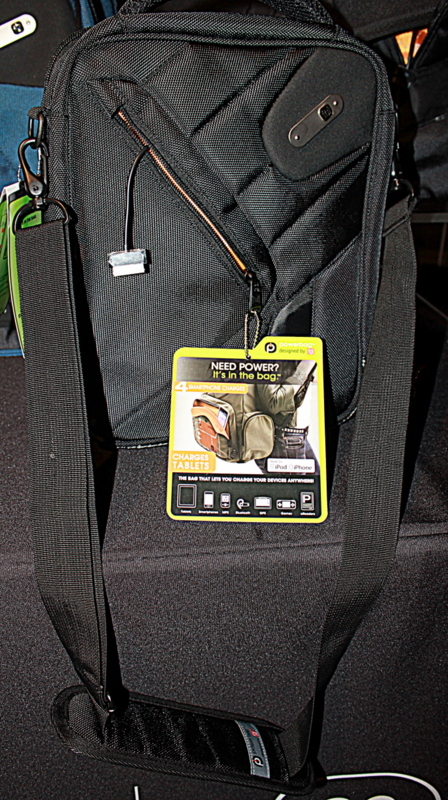 For days, I only need my tablet, Powerbag makes a tablet sized bag as well. This is actually my favorite and the more I travel, the more I try to get along with just the tablet so I can use this one. 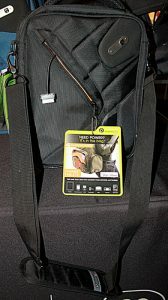 It has the power source, the pockets (although not as much ability to carry extra items as messenger bag), and the outer pocket to charge my phone while on the go. Mycharger – it’s an extra power source that when charged it can recharge your smartphone four times. Being that at conferences I do a ton of tweeting, Instagram posting, Facebook status updates, Rawporter video recording and more, this is a need so I don’t have to stop and charge gadgets. Plus it’s got all the connectors attached, so no worrying about not having the correct attachment with you. Lipcare – this is super important when you’re talking a lot, in places that use AC or outside having conversations. My favorite is Berts Bees. It’s all natural and feels great. 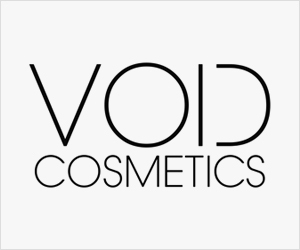 Put it on under your long wear lipstick or gloss to protect your lips all day. Also don’t forget the mints or gum. 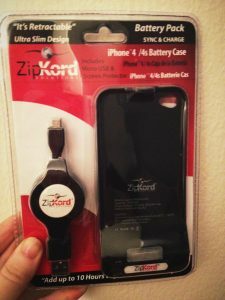 For my iPhone – Zipcord phone case which is a case and a phone charger in one. Get the Zipcard kit and it comes with the attachment for charging the case and you can use it to charge directly into a miniUSB gadget too. 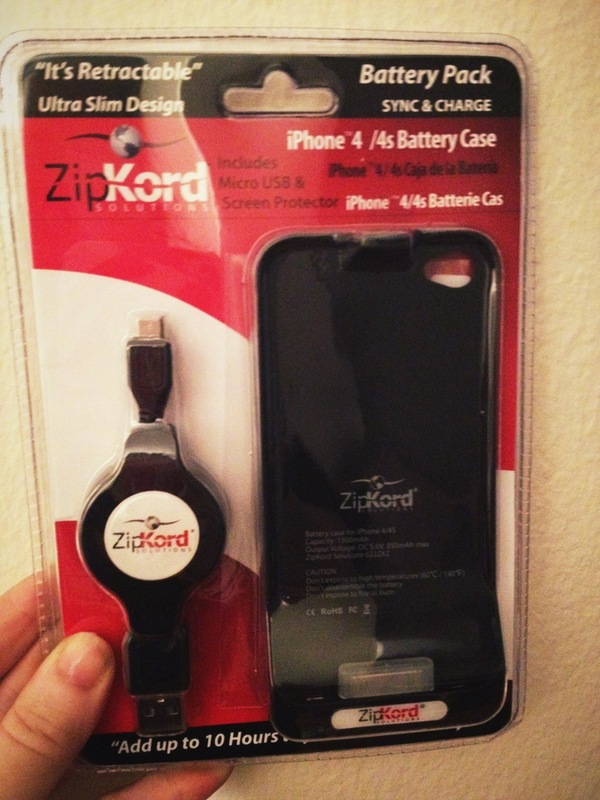 The Zipcard case charges your iPhone up to four times before needing to be charged itself. Travel pack of hand wipes – Hand sanitizer tends to dry out my hands and when you use it several times a day at a conference, well let’s just say it gets to be too much. So in between washing I use hand wipes. I look for the ones that have aloe. Keeps your hands clean and soft, soft is important when shaking lots of hands throughout the day. Sharpie – great for taking notes about people on business cards or adding a personal message to yours. Especially important to stand out at a bigger conferences when people are collecting tons of cards. You can write anything little note that reminds you who exactly the person is or add a little note to your card so you can stand out in the card pile. Notebook – my favorite are the Moleskine Classic Pocket Soft Cover Ruled Journal. Even with all the gadgets and apps to take notes, sometimes it’s easier and faster to write a note. All these items help me easily get through the day at a conference. I don’t worry about power, about missing an important quote, how to make sure people have my important contact information and other little daily things you need to do (fresh breathe-soft lips). Anything I missed? Can you add to the list. It’s conference season, let’s be prepared.